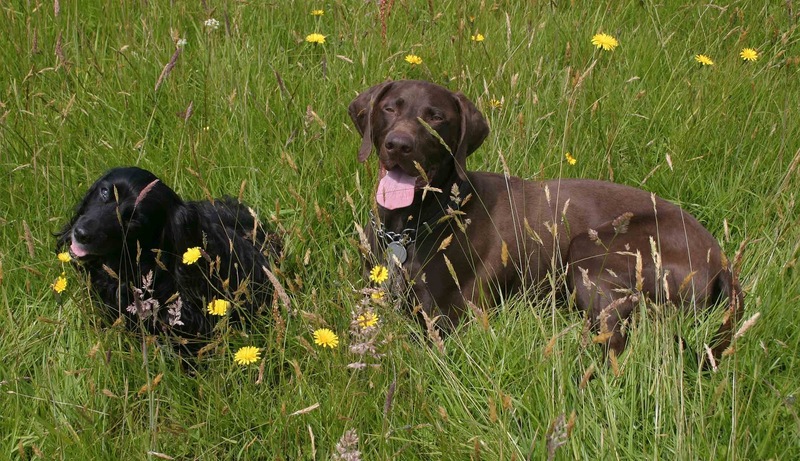 Dog Friendly Cottage Holidays - friendly dogs welcome! Noodles & Rolo take a breather! 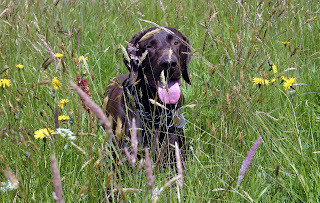 The 4 acre field at the back of Rooky's Nook provides a great place for dogs to run and chase in the long grass, or walk sedately along the cut path around the edge. 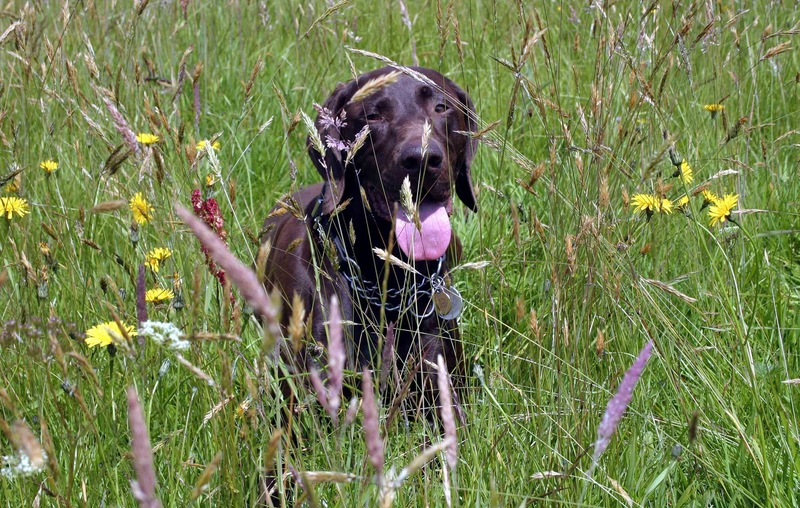 At this time of year the grass is slowly turning to seed, and the meadow flowers are in abundance!